I can but hope that these are as great as they look on the website. As you probably know unless you are new to Shoeniverse (and if you are then hello there, you are looking sharp today!) I am a little bit of a bargain hunter. Ok, more like a LOT of a bargain hunter. I am an avid showroomer and love nothing better than getting a £250 dress, or shoes, for a fraction of the price. In purchases like this, my preferred practice will always be to go and 'meet' (yes I really do use that term verbally - just yesterday my husband snorted with laughter when I said it) and item in person, and then see what kind of a deal I can get online - especially if I am willing to bide my time and wait it out. The sheer volume of designer clothing and shoes in my wardrobe is testament to my seasoned bargain hunter creds. Shall I go ahead and get to the point now? I picked up these heels for just £8.99 brand new. The original retail price is £44.99, and some places are half price, but finding the black ones on sale is a little bit like trying to plan a holiday in Narnia. By unicorn. 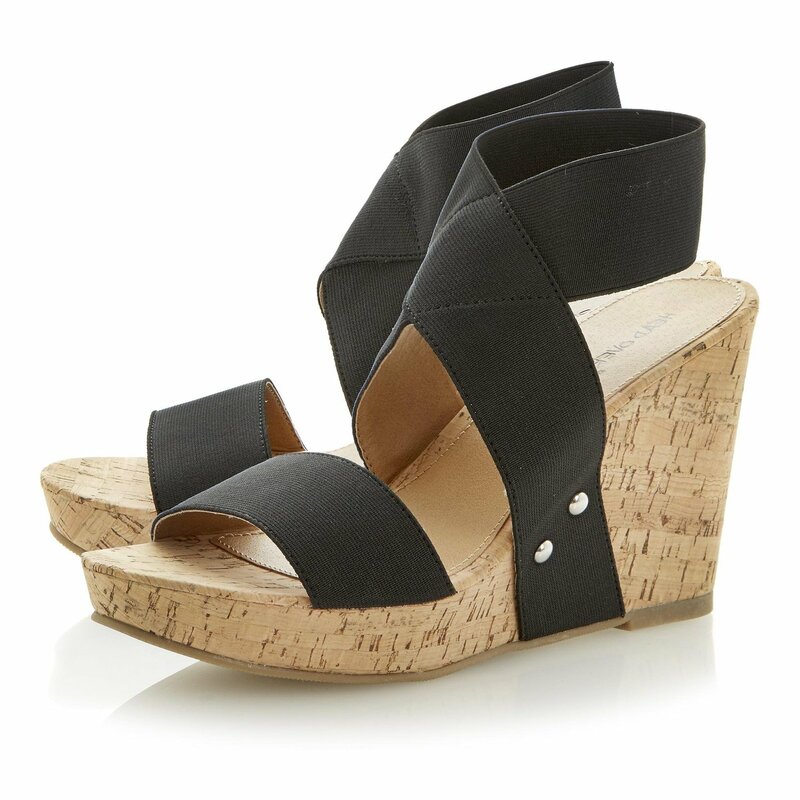 You can embrace summer chic (as it's finally sunny now - hooray!) 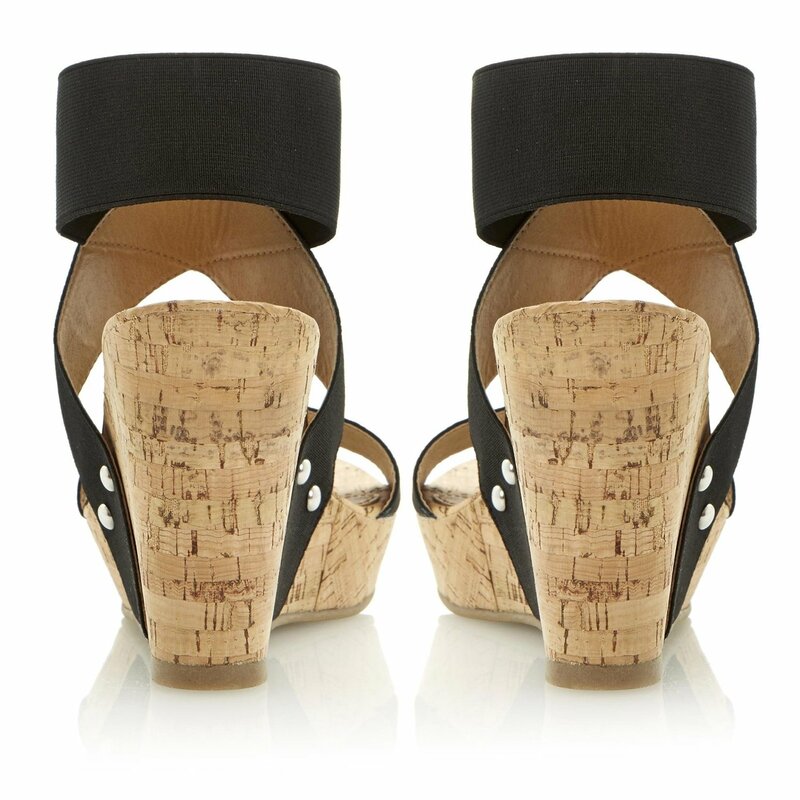 with this sophisticated cork-effect wedge. 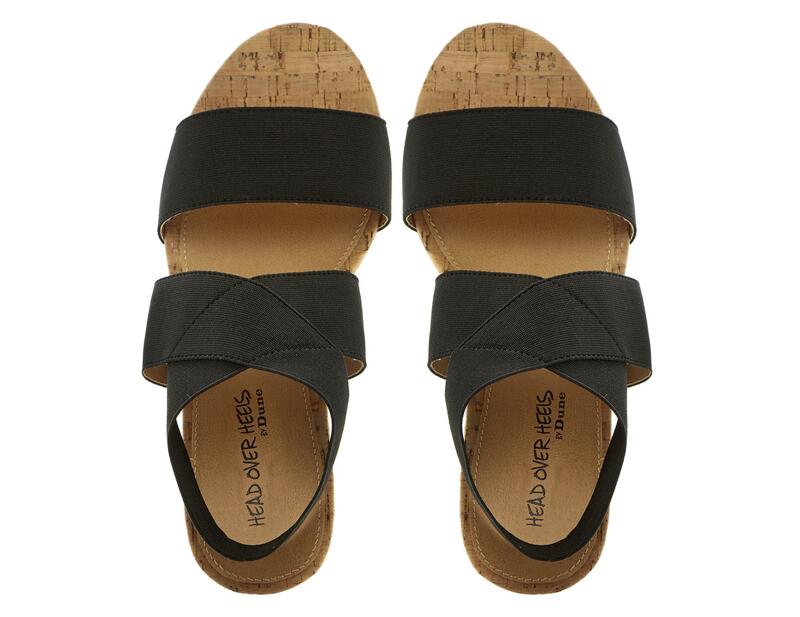 Featuring a criss-cross elasticated ankle strap and polished metal side stud details, it will look fantastic with everything from skirts to shorts and turned up boyfriend jeans. A key trend for the coming season. I feel these were an absolute bargain. As always Ebay was my friend. You can still buy the gold ones in all sizes for half their original retail value, or else go online and see if you can find a bargain too. 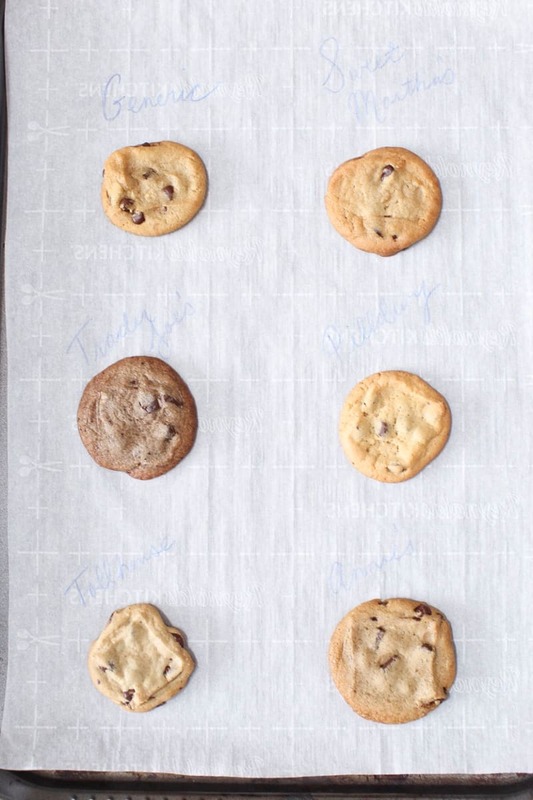 I'm hoping that they will help satisfy my 'chiffon shirt and boyfriend jeans' look. Once I finally get the jeans I shall create an outfit post and show it all off.